Dory Previn was an American singer-songwriter probably best known for her album Mythical Kings and Iguanas. 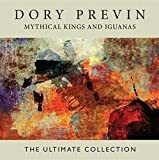 Dory Previn's Mythical Kings and Iguanas album that was released in 1971 is one of my favourite albums, and in my opinion one of the best examples of song-writing ever. The strange thing is that many people have never heard of Dory Previn. I first came upon her music on the late great John Peel's show on BBC R1 and was instantly hooked. It was Mythical Kings and Iguanas, the title track from her album and I rushed out and bought it. I played that record over and over and over and then my sister Hazel borrowed it off me and possibly played it even more than I had done. It ended up all crackly from the amount of use it had been put to. It is one of those injustices in the world that Dory Previn never became a household name and that many have not heard of her or listened to her remarkable body of work. Nevertheless she was very highly acclaimed by all those who did know her songs and she has many well-respected fans in the music business. Jarvis Cocker, the singer-songwriter himself and frontman for Pulp, became an instant fan just like I did it is reported. Apparently he heard her Lady With The Braid on the radio and that was enough to make him want to hear a lot more. Dory Previn had been very successful writing songs and music for films in the sixties in collaboration with her famous husband André Previn the classical music conductor. The couple had married in 1959. They wrote five songs for the successful movie Valley of the Dollsand other songs were covered by singers including Frank Sinatra who recorded You're Gonna Hear From Me. So despite the fact that many people know nothing about Dory Previn she had already established herself as a major talent before she went into song-writing for herself rather than for films and other people. Although successful as a songwriter Dory Previn's personal life was a disaster. having a phobia of flying she didn't accompany her husband on his world tours and by 1965 she had suffered a nervous breakdown and had gone into a mental hospital. Eventually André Previn and Dory divorced in 1970 after she found out that he had had an affair with actress MIa Farrow who was pregnant by him. Upset by her husband's betrayal and infidelity Dory Previn became very ill again and ended up receiving psychiatric care in a hospital again, including ECT electro-shock treatment. Dory Previn's hardships in life and terrible experiences make up a lot of the autobiographical content of her songs. In 1970 she signed with Mediarts and her solo album On My Way To Where was released. It was followed in 1971 by Mythical Kings and Iguanas, and in 1972 after United Artists had taken over Mediarts, Dory Previn's third solo album in that period was released to much critical acclaim, and entitled Reflections in a Mud Puddle. A book of poems by Dory Previn. 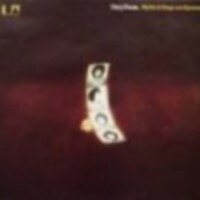 The confessional and autobiographical nature of Dory Previn's songs is definitely a strong part of their appeal but so too are the arrangements and production. Dory Previn has song-crafting down to a very fine art. Probably for me though, just like what causes my love of many other songwriters' work, it was the lyrics that hooked me. Mythical Kings and Iguanas is about struggling to escape from the real world by diving into fantasies and mysticism. Dory tells us "Astral walks I tried to take, I sit and throw I-ching,aesthetic bards and tarot cards are the chords to which I cling." But at the same time she knows that she "never learned to touch for real or feel the things iguanas feel, down, down, down where they play." This is something that makes so much sense to me and why I often consider animals as having saner and more balanced lives than humans. Animals live in the real world and do what they were designed to do and it is a pity so many of us cannot do likewise! Dory Previn was born in New Jersey in 1925 but sadly died, aged 86, on February 14, 2012. Despite her age she had carried on working over the past decade, and despite having suffered a number of strokes. In 2002 a royalty-free recording by Dory Previn was made available via the Internet with the title Planet Blue. It is a selection of her recent and previously unreleased songs and subject matter ranging from environmental degradation to the threat of nuclear disaster is covered. Dory Previn had married again in 1984 when she wed actor Joby Baker, and her second marriage had been a successful one. She lived in Massachusetts with her husband. A compilation of Dory's early 1970s work, bearing the title The Art of Dory Previn, was released by the EMI label on January 21, 2008. Dory Previn led a remarkable life with many high points and lows. She has shared it all with us in her long catalogue of songs. Thanks for posting! Dory was an amazing singer-songwriter and will be remembered for her very great talents. I had never heard of her. Such a sad life. An interesting article. Thank you! Singer-songwriters are famous for singing and songwriting but they often have many other artistic talents such as acting, writing books or being DJs.